The crawfish are abandon in the lakes of Brazos Bend state park in Spring season. 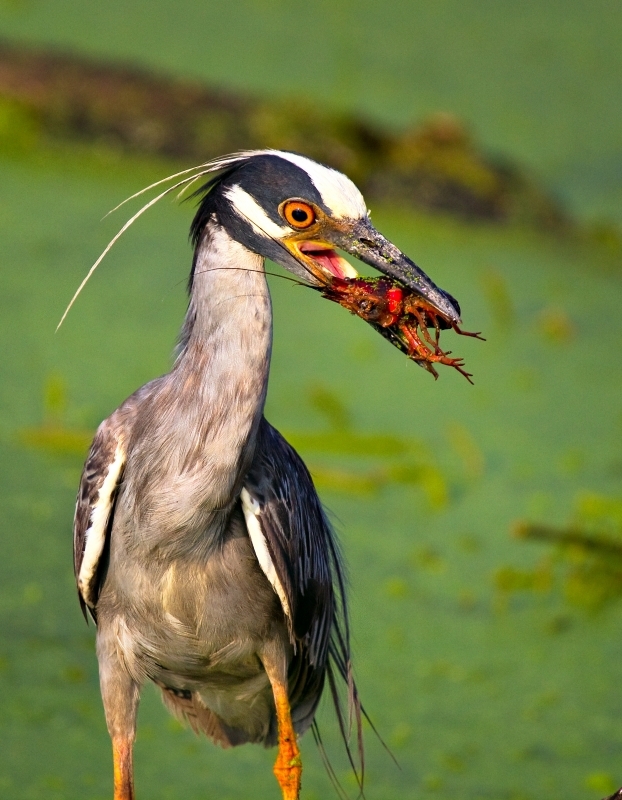 So does the sight of yellow crowned night herons eating them. This photo was captured while one of those birds catched a crawfish and about to eat it in early morning hours.